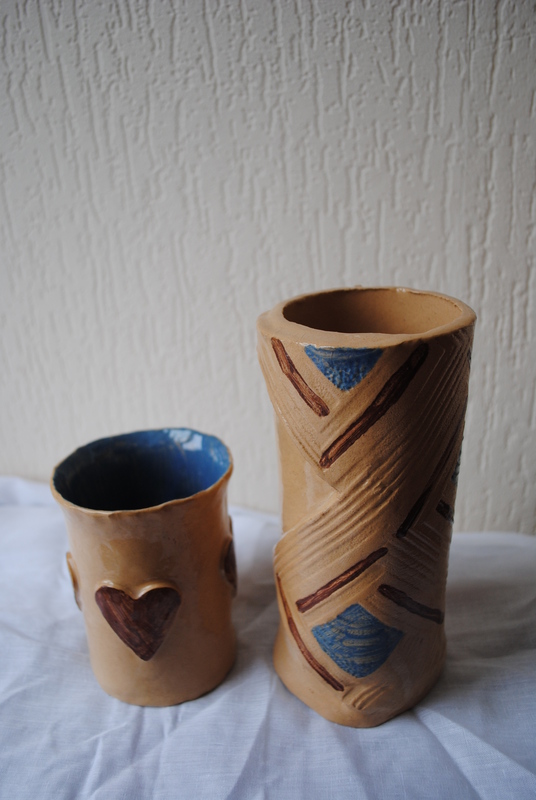 A few weeks ago I told you about a new activity I tried – pottery! This week I went to collect the pieces that I made in the workshop, all ready after the tutor had fired and glazed them for us. As promised, here is a photo of the finished product. OK, I’m no sculptor, but they turned out better than I expected!